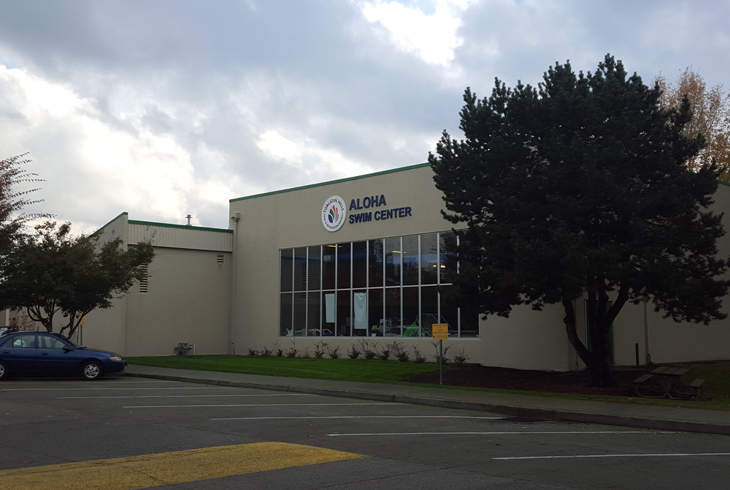 Adjacent to Aloha High School, the Aloha Swim Center serves neighbors with recreational swimming, classes and events. 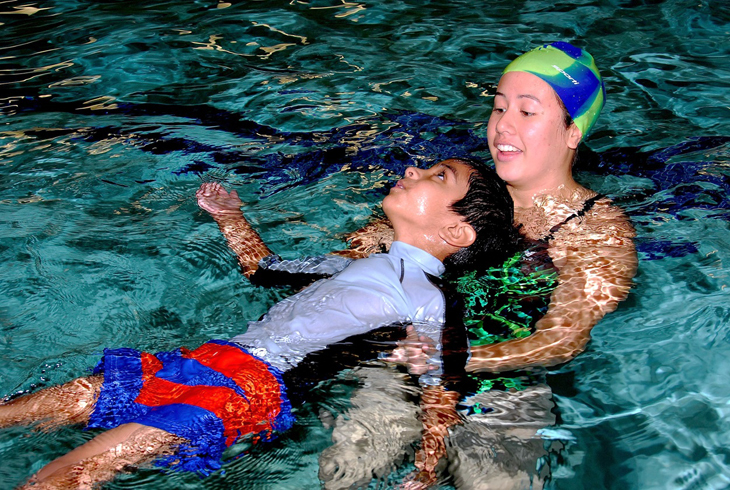 Our experienced swim instructors teach group and private lessons daily, year-round. Aloha Swim Center is a 25-yard pool that offers year-round swimming instruction for all levels starting at 6 months of age. Specialty programs such as independent deep-water exercise and water walking complement our other fitness classes for adults of all fitness levels. Lap swims are offered throughout the day for your fitness convenience. Aloha Swim Center also hosts high school sports practices and events. Aloha Swim Center is now a SilverSneakers location! 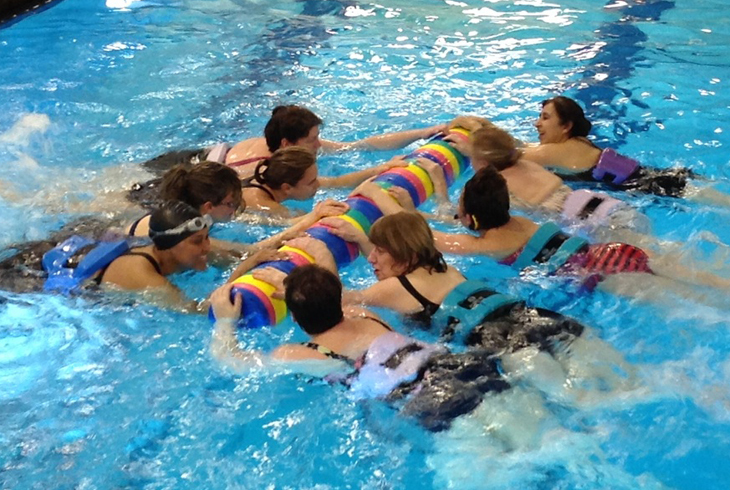 SilverSneakers participants are able to check into open swim, lap swim, independent fitness, and Cardio Core (MWF 8:30am) fitness classes. 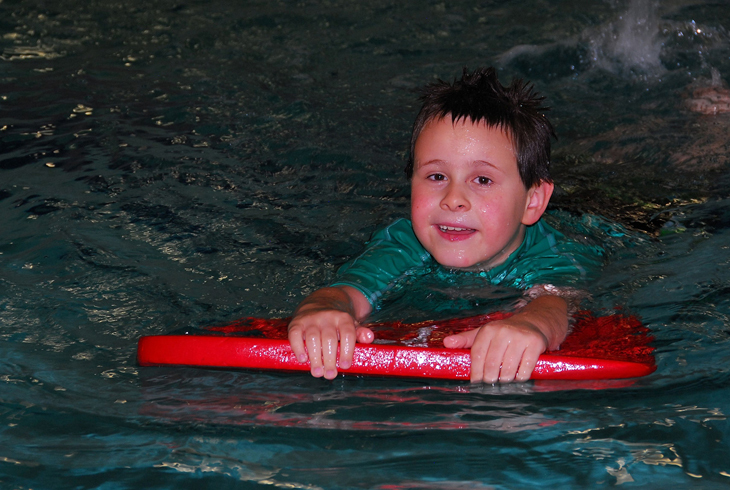 Join us in a fun evening filled with kayaks, life jackets, games and water safety activities. This will be our fourth year hosting the floating extravaganza for National Water Safety Month. This is a free event for everyone who would like to participate. Hope to see you on May 17 at the Aloha Swim Center. Call the Aloha Swim Center at 503-629-6311 with any questions. Sat Jul 13 at 4:00 PM - FUNquatics! FUNquatics! is back! Join us for games, activities, inflatable water slide, the Wipeout!, and more fun for you and your friends. This year we are adding a community BBQ! While your kids play and have fun join our staff for a BBQ and fun! Play games and see who will rule supreme in classic games and new games. Will you be able to compete against your friends and win? We have two different class ID to register for this year. One is all-inclusive which includes games in the pool and a BBQ Dinner. The other, Drop-in only, is just for games if you are purchasing a meal there will be a day of option if you and your family want to come in and picnic! If you have questions, call Aloha Swim Center at 503-629-6311. Join Aloha Swim Center for the Tropical Mermaid Swim! Mer-friends and enthusiast come to Aloha to enjoy crafts, games, a swim, face painting and more! We will require fins and tails, Aloha will have fins for use at the event. Use class ID AL18001 to register. This event requires registration due to the high volume or attendees from last years events. If you have questions about how to register or are traveling in for the event call Aloha Swim Center at 503-629-6311.